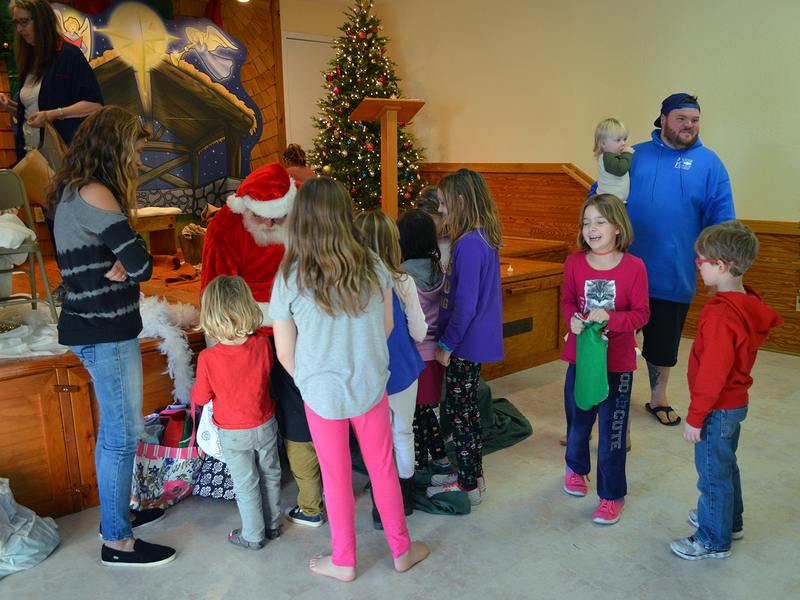 Every year on the Saturday closest to Jan. 6, Old Christmas is celebrated in Rodanthe. It’s a village tradition to celebrate Twelfth Night. Events now carry forward some historic pieces of the celebration. An oyster shoot started at 1 p.m. and moved into late afternoon. Some 30 rounds of shooters competed for a box of oysters. Each participant paid $6 per round to shoot at a target. This competition harks back to a marksmanship competition. Inside the Rodanthe-Waves-Salvo Community Building, chicken and pastry simmered. Desserts are cut for the dinner at 5 p.m. About 125 people attended the 2019 celebration. Before that dinner, children and adults from the Fair Haven United Methodist Church presented “Come to Fairest Lord Jesus.” The play opened with “We Wish You a Merry Christmas” with new verses. At the singing of “The Friendly Beasts,” a donkey, a sheep, a dove and two camels reached the stage where Mary and her baby were. Then on the verse for a bull, Old Buck made an early entrance and cavorted around to the surprise of attendees and children. Santa arrived and distributed stockings stuffed with sweets and coloring books. Historically, stockings were distributed at this celebration. Plays and skits were always presented at Christmas, said Jonna Midgette in introducing the “only play in town.” She invited the audience to sing along. Outside, this was the first year for the new skate park and people used it during Old Christmas. Oysters were steamed this year. The band Chicamacomico under the leadership of Elvin Hooper played for dancing. The mythical beast Old Buck returned for another appearance at the dance around 8:15 that evening. Touch the bull for good luck for the coming year.